Do you have a Mitsubishi and are you in the Kent and Des Moines area, scratching your head because you need an excellent auto mechanic and don’t know who to turn to? You can stop searching because the auto repair technicians at Premier Automotive Services have got your back. We have the expertise and the customer service that you and your Mitsubishi deserve. Whether you have a Mitsubishi Eclipse or Outlander, a Lancer or a Mirage, our team of expert auto repair gurus can service it. 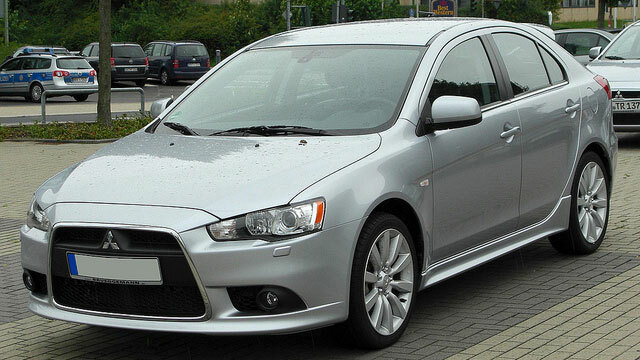 Like other Japanese vehicles, the Mitsubishi is known for its reliability. However, even a really reliable vehicle like a Mitsubishi needs some service from time to time. We’d like to help you keep your vehicle on the roads of Kent and Des Moines as long as possible. Why Premier Automotive Services? We’re not all about selling our services. We tell you what’s going on with your vehicle and let you prioritize which repairs you’d like to do. Our ASE-Certified technicians will discuss your digital inspection with you and leave it up to you. We respect you enough to keep our word and will do the repairs you’ve talked over with us. You won’t have a big surprise when you come in to pick up your car! “I discovered Premier Auto a few years ago, and Ryan and his staff have been servicing my car ever since. I drive a 1997 Toyota, and it is very comforting to trust a car repair shop with an older vehicle like this. Every time I have taken the car in for regularly scheduled maintenance, I always know that Premier is only going to recommend repairs that are needed, and they are going to do them right. I feel very lucky that I found a shop as honest and well-run as this, and it is a bonus that they are only about 3 miles away. What a great place!” -- Bob N.
Our technicians at Premier Automotive Services would love to service your Mitsubishi. Our guiding principle is to take care of our customers first. Why not schedule an appointment today? We are conveniently located at 25009 Pacific Hwy S, Kent, WA 98032. Our hours are 8:00 AM - 5:30 PM, Monday - Friday.